Vodafone Malta is now listing the iPhone 4 as “coming soon” on their website, despite Apple has not yet said anything public as to when iPhone 4 will actually reach Malta. Malta is not included in the next batch of countries to receive iPhone 4 in late July: Australia, Austria, Belgium, Canada, Denmark, Finland, Hong Kong, Ireland, Italy, Luxembourg, Netherlands, Norway, New Zealand, Singapore, South Korea, Spain, Sweden and Switzerland. So far Vodafone Malta does not disclose anything. There’s no information about pricing or availability. All you can do is register your interest and they’ll contact you. 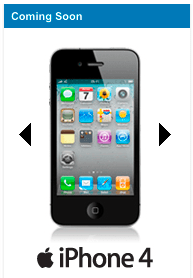 Click here to register your interest for iPhone 4 in Malta. I had the same problem, cellur data was not coming up. i used t mobile here in the us. i got on installer downloaded kate utilities and it showed up. Sorry but I don’t see what cellular data and t-mobile has to do with Vodafone Malta and iPhone 4? Thanks for posting! I was searching for the prices of the Vodafone Broadband packages, but the Vodafone website doesn’t list them. The linked Scribd-document from this post has the prices, thanks. By the way, are there any other ADSL providers in Ghana or is Vodafone the only option? i phone price is still a thing to consider.